Custom-order your Fostech -12 SBV Black with Nickel Internals now. This weapon is manufactured as a Firearm. It is not an AOW, SBS, or pistol. It is a title one weapon. But it's the shortest, coolest, fastest, best looking 12 Gauge Firearm ever. With folding brace as pictured. We included a link for you to see some videos in action. It's a must have... This is a pre-order only. Estimated time for delivery is 20-24 weeks. Please keep in mind, that this is the estimated delivery time from Fostech. 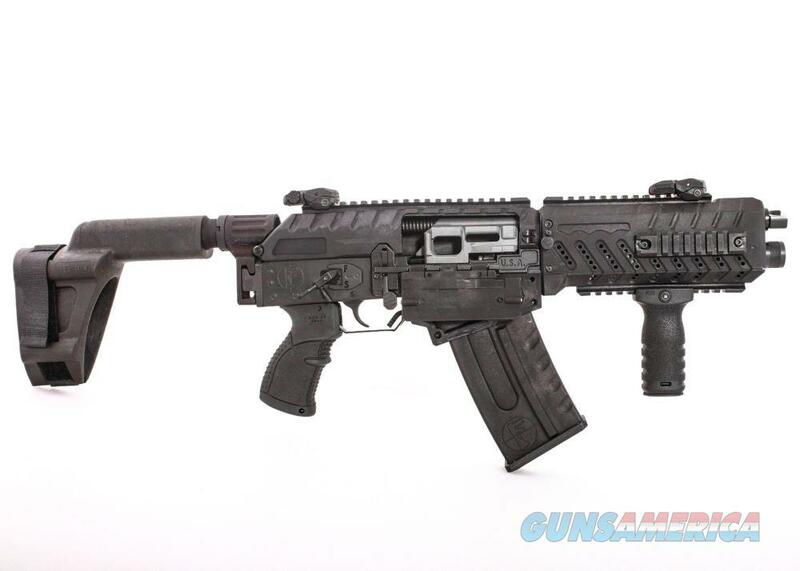 We at the mercy of the manufacturer, and it is possible that they will ship it earlier or later than estimated due to parts availability, but you are guaranteed to receive this firearm.The total price for this firearm is $2825.00 plus $35 shipping. It is produced custom per order just for you. If you decide to cancel this order, you are responsible for the listing fee of $100.00 and a restocking fee of 4% of the total for credit card fees if applicable. This listing is for the all Black wit Nickel Internals, If you want the all nickel for $3025 or the all Black for $2825 we have them listed separately here. Firearm not as pictured with all the extras. Below are the specs and what is included with the Origin 12 SBV. weight: 9 lb. 9 oz. We are a licensed FFL dealer [ NOC 7 Corp ] in Pompano Beach, Florida. We only ship to FFL Dealers, including Curios & Relics. We also ship approved firearms to CA. Buyer pays $35.00 shipping cost. We ship with USPS, Fedex and UPS. The buyer is responsible for their state firearms ownership/purchase laws. There is no returns or refunds.The above prices on this item reflect a cash/check discount. This discount is not valid for credit card purchases. Add 4% for visa, Mastercard, Discover, Amex and paypal to the total cost for credit card and paypal purchases. If you are paying with check, money order, ect., no extra fees. Please mail with tracking number for your security. No fees with Zelle. Check the link to see how it works. Most Banks have Zelle already integrated in their app. Please visit us on Facebook under NOC 7 Corporation or Google maps under NOC 7 Corp.
We are a licensed FFL dealer in Pompano Beach, FL. We serve our firearms owner's community in providing professional, friendly service and competitive pricing. We are also equipped to offer firearms cleaning, maintenance, custom upgrades and transfers.